Kota Kinabalu, formerly known as Jesselton, is the capital city of Sabah. Strategically situated in the Northwest Coast of Borneo Island, this city has one of the most amazing views; South China Sea and Tunku Abdul Rahman Park on one side, and set against the backdrop of Mount Kinabalu; this beautiful ‘Nature Resort City’ stretches for miles along the coast and towards the inland. 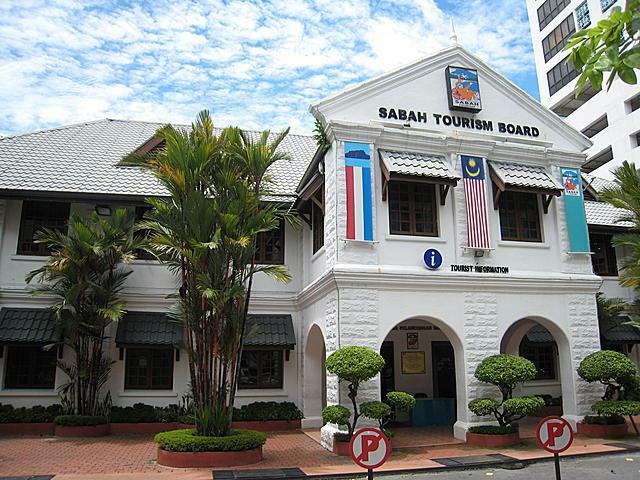 INTERESTING FACT: Sabah Tourism Board is a building located in the city of Kota Kinabalu as one of the three oldest buildings in the city. The other two is the Atkinson Clock Tower and the remaining structure of the former Land & Survey. What is this "free walking tour"? Just what it is. 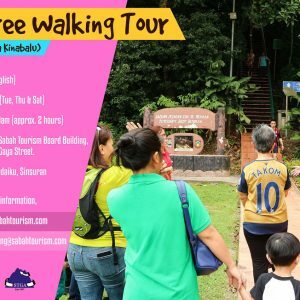 A free walking tour around the city which is fully subsidized by Sabah Tourism Board. How do I register for the Free Walking Tour? All registration have to be done online on the website. Pre-registration is required. How many times a day does the Free Walking Tour run? Runs once a day, every Tuesday, Thursday and Saturday. Tour will start at 9am and run for approximately 2 hours. In what language is the tour spoken? Currently, tours are delivered in English. What’s the maximum number of participants per tour? We are only limiting for 15 participants per tour. I’m a local (Malaysian), can I join the Free Walking Tour? Yes, the Free Walking Tour is open to all. Is there an age limit for the Free Walking Tour? Suitable for children 5 years and above. Participants below 18 years old must be accompanied by an adult. I have a toddler with me, can I bring a baby-stroller on the Free Walking Tour? A baby carrier is preferred for the child as the route is not stroller-friendly. Where is the meeting point for the Free Walking Tour? Sabah Tourism Board building at Gaya Street. Can I tip the guide on the Free Walking Tour? Yes, although tipping is not compulsory. You may tip your guide as you see fit after your tour. FYI, the guides are licensed guides and members of Sabah Tourist Guide Association. Does the Free Walking Tour include food and drink? No. It is advisable that you bring your own water and snacks. What if it rains, will the Free Walking Tour still proceed? We will check for rainy weather forecast and inform participants prior to the tour if umbrellas or raincoats are needed. If the weather doesn’t permit, the tour will be cancelled and participants will be informed either verbally or via email. What are the attractions does the Free Walking Tour cover? The route will be within the city centre and shall cover at least ten places of interest.